This home is a 10! Desert lifestyle at its best! Beautifully remodeled Amalfi plan in the Casas just steps from one of five community pools/spa. Bamboo floors throughout, plantation shutters and contemporary lighting add stylish edge to this fabulous home! Spacious lv rm with travertine framed fireplace as its focal point. The sunlit morning room offers views of our magnificent mountains and opens to the remodeled kitchen with slab granite and a plethora of cabinetry. Master bath features Travertine marble vanity and shower with frameless glass door. Guest bath has a slab granite counter and contemporary tiled shower/tub combo. The expansive low maintenance and private backyard is perfect for entertaining or for quiet evenings enjoying your favorite beverage. The clubhouse offers a fitness center, game room, library, swimming pool, bbq area and 5 tennis courts. Desert Breezes offers low HOA's and is located close to shopping, entertainment and the Indian Wells Tennis gardens. Welcome to Desert Breezes centrally located across from the world famous Indian Wells Tennis Gardens and in close proximity to shopping and local restaurants. This home is a very comfortable 1895 square feet with 3 Bedrooms and 2 Full Baths. The kitchen is nicely remodeled and there is a private pool in the back yard. This is a Fannie Mae HomePath property with easy access for viewing so come take a look! Location, location, Location! Don't miss out on this opportunity to own a beautiful condo in the best location in the valley! This is your chance to own a property within walking distance to the world renowned Indian Wells Tennis Gardens, the home of the BNP Paribas Open. Two bedrooms Two bathrooms, granite counters, stainless appliances and indoor laundry. Just a stones throw from the pool and tennis courts! All of this and weekly rentals are legal! Gorgeous home with newer kitchen cabinets, granite counter tops, Stainless appliances, Laminate flooring through out the home! Very well priced, and move in ready. Situated with wide greenbelts surrounding you and conveniently located next to one of the many pools! Desert Breezes has everything you're looking for. Clubhouse, tennis, pickle ball, fitness center, 5 pools and the lowest HOA around. Located right across the Indian Wells Tennis Gardens this is a must see!!! The desert lifestyle at its best. This charming three bedroom, three bath home is located in a quiet cul-da-sac, just steps away from one of the five swimming pools. The spacious floor plan features tile floors, plantation shutters, a formal living room with fireplace, separate dining area, new refrigerator, new air conditioner and new paint. The baths are stylish and renovated, the master bath features a decorative tile shower with a glass enclosure. The guest bath has a slab granite counter with a tile shower. The large gated yard is truly tranquil with a koi pond, desert plants, a small area of grass which is perfect for pets. The clubhouse offers a fitness center, game room, library, swimming pool, barbecue area, and 5 tennis courts. Desert Breezes is a gated community, centrally located close to shopping, entertainment, dining, schools and the Indian Wells Tennis Garden. Beautifully remodeled and offered Turnkey Furnished. Seller opened up the kitchen, enlarged the doorway to the kitchen and made everything light, bright and modern. The kitchen features quartz slab countertops, custom cabinetry with quiet close doors, pull out shelves in the pantry and stainless steel appliances. All flooring has been replaced with new carpet in the 3 bedrooms and 18 x 12 tile in all the other living spaces. Baths have been upgraded as well with new sinks, quartz counters, new cabinetry and new fixtures. To brighten and freshen the look and feel of the condo, the entire interior was painted and 5 baseboards were added. What a classy remodel! Additional upgrades include new hardware to the doors, stacked stone surround added to the fireplace, custom frameless glass shower doors added to the master bath shower and in the guest bath: new sink, counter, bathtub and newly tiled shower/tub enclosure. Lush backyard and all situated on a quiet, quiet lot. Move in ready! Whether you’re looking for long term residency or a great vacation home, Desert Breezes, in Palm Desert, California, offers tranquil living and an active lifestyle. This gated community is surrounding by the majestic San Jacinto mountain range and residents experience a nice year-round climate. This plus the almost endless list of local activities makes this neighborhood a great vacation spot. Desert Breezes features single family homes and four bedroom condominiums in a Mediterranean villa architectural style. Developed in the 1980’s, this community has five lighted tennis courts, five spas, and six swimming pools. The clubhouse features a fitness center as well as a business center, conference rooms, and owners’ lounge. Other amenities include concierge services, gas barbecues, and Wi-Fi service. There is free parking and an RV lot with no hookups. This is a smoke-free property and pets are not allowed. Developed from 1984 to 1989, amenities at Desert Breezes include six community pools, five spas, five lighted tennis courts, and a clubhouse with an exercise facility. In addition, Desert Breezes offers a park-like setting, with lush, well-manicured green belts and spectacular mountain views. Schools in this area include Gerald R. Ford Elementary, Colonel Mitchell Paige Middle, and Palm Desert High School. Palm Desert also has eight private schools. Desert Breezes is located of Washington Street and Fred Waring Drive. Shopping and entertainment is minutes away as well as many golf courses. El Paseo Drive is the area’s version of Rodeo Drive, and has many posh boutiques. And Palm Desert is known as the World’s Golf Capital with over 30 courses; and these are the ones inside city limits. Other attractions include the McCallum Theater, the Living Desert Zoo and Gardens, and the College of the Desert. As far as transportation the Palm Springs International Airport is close by and the SunLine Transit Agency bus service serves the Coachella Valley. If you’re already working with a Real Estate agent, please utilize your agent’s website & direct expertise to aid in your home search. We are only able to directly serve our own clients. Thank you for your interest in the Desert Breezes community, and we wish you the best of luck with your Real Estate needs. Whether you are contemplating buying or selling a home in Desert Breezes, it is important that you hire the right team that fits your needs. We roll out the red carpet for buyers & sellers alike, and ensure you have access to us 24/7, as we aim to earn your business for life! 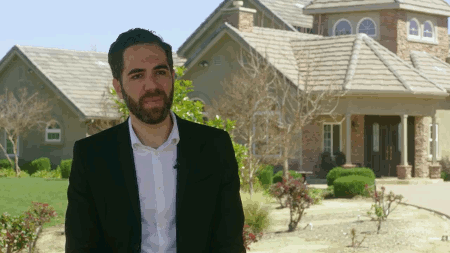 We understand the market well, and you will not find a more qualified Desert Breezes real estate agent to help you with all of your Real Estate needs! As a buyer, you will have access to Desert Breezes listings the second they hit the market, which gives you a leg up on the competition. As a seller, your home not only will be featured on one of the top Desert Breezes sites on Google, but we also will syndicate your home to hundreds of other sites, hold weekly open houses, send out postcards, and much more! We have helped dozens of buyers & sellers, and look forward to helping you as well! Recently listed as of Thursday, October 4th at 1:30pm, this 3 bedroom, 2 full baths home on Via Badalona is part of the Desert Breezes community. With 1,612 square feet of total floorspace, this home comes in at &dollar;226.36 per square foot. That's 23.73% higher than the neighborhood average. There are also 2 garage spaces available for parking. Originally built in 1987, this home sits on a 4,792 square foot lot (S). Listing provided courtesy of Mary Yeakel at Bennion Deville Homes.